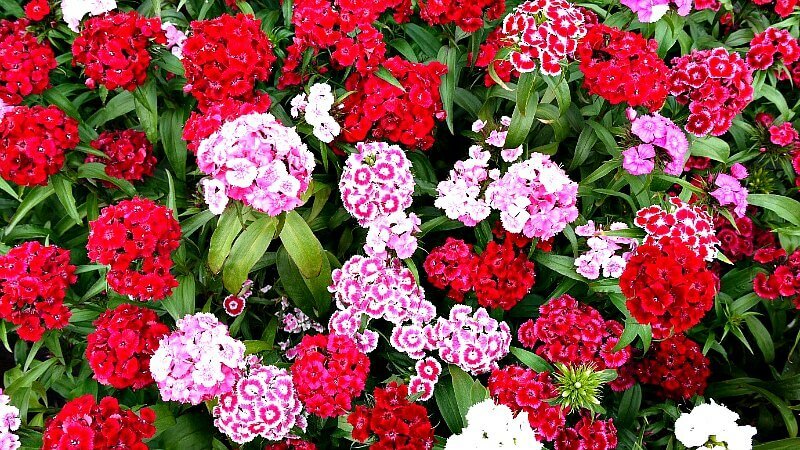 Dianthus barbatus (Sweet William) is a species of Dianthus native to southern Europe and parts of Asia. It is a herbaceous biennial or short-lived perennial plant growing to 13–92 cm tall, with flowers in a dense cluster of up to 30 at the top of the stems. 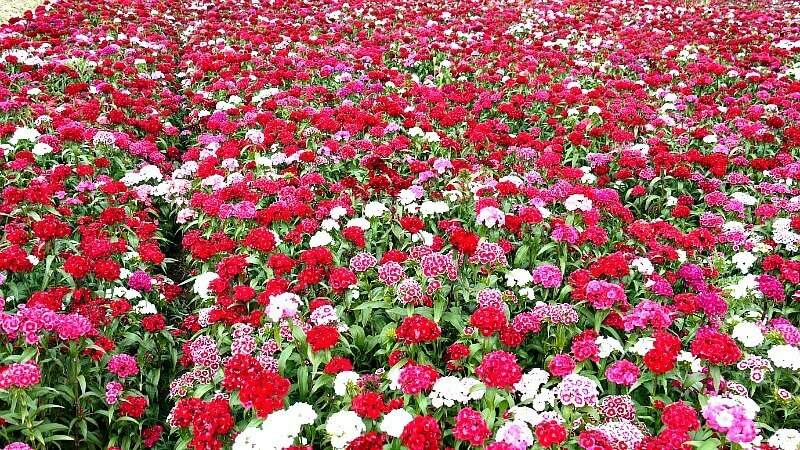 Sweet Williams are planted in late June and are at their blooming best between May and June. It is uncertain if the flower was named for Saint William of York, William the Conqueror or Prince William Augustus.